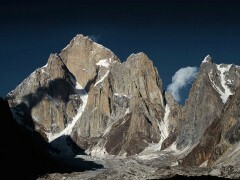 The Latok group is a small cluster of dramatic rock peaks in the Panmah Muztagh. Latok-II Peak 7108m and Latok-I Peak 7151m of the central Karakoram mountain range in Pakistan. They lie just to the east of the Ogre group, dominated by Baintha Brak. To the immediate south of the Latok group lies the Baintha Lukpar Glacier, a small tributary of the Biafo Glacier, one of the main glaciers of the Karakoram. On the north side of the group lies the Choktoi Glacier. Day 02: Briefing at Ministry of tourism and sightseeing. Day 05: Rest Day at Skardu. Day 06: Drive to Askoli by Jeep 7 to 8 hours. Overnight Camp. 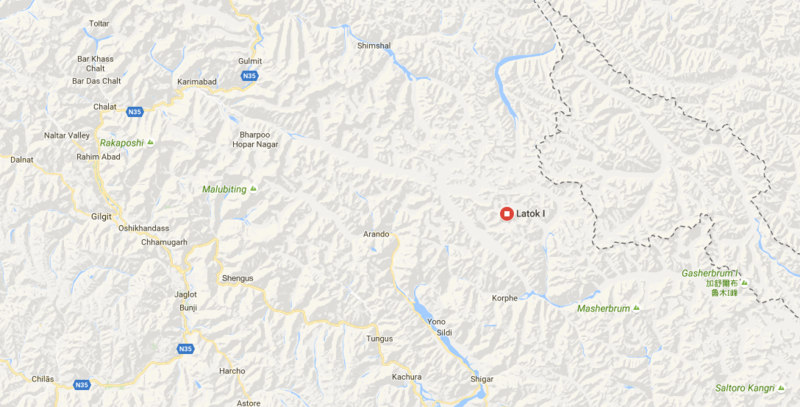 Day 07: Trek from Askoli to Namla.Overnight Camp. Day 43: Back from Basecamp to Shafon overnight Camp. Day 46: Fly to Islamabad/drive to Chilas. Overnight hotel.